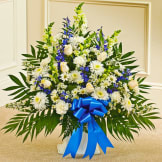 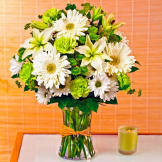 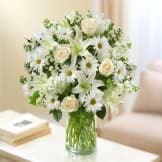 Beautiful in blue and white, our abundant sympathy arrangement makes a fitting remembrance during difficult times. 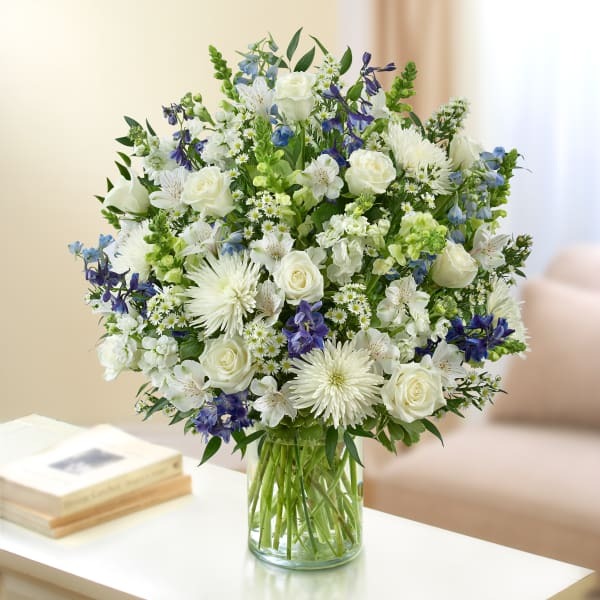 Elegant roses, snapdragons, delphinium, stock, alstroemeria, spider mums and more are tastefully arranged by our florists in a classic glass vase. Lush blue and white arrangement of roses, snapdragons, delphinium, stock, alstroemeria, spider mums and monte casino, accented with variegated pittosporum and ruscus.